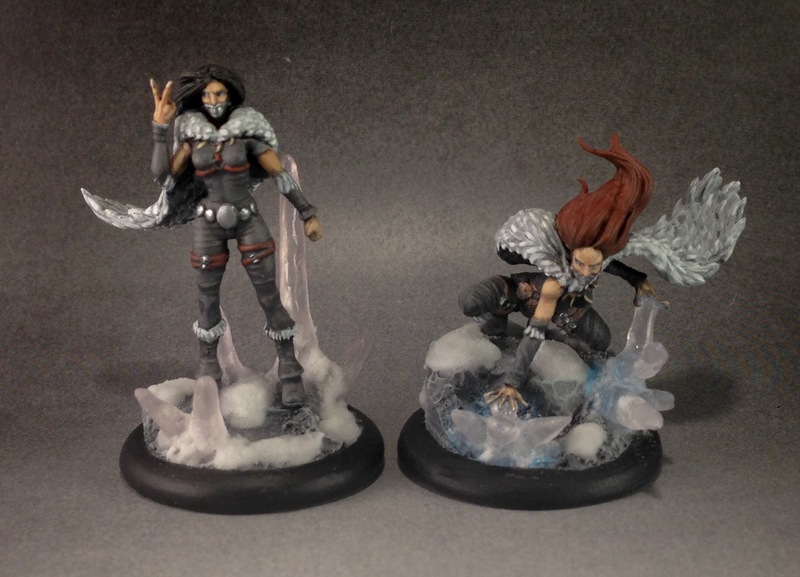 Coming from the frozen mountains north of Malifaux city, this Slate Ridge Mauler is truly fearsome predator, but deep down he really just wants to give you a hug; with four arms, it’s fair to say that he’s twice as good at giving hugs as your average bear! What’s that in the sky? It’s a bird! It’s a plane! It’s Superman! Wait, no… that’s a bird… definitely a bird… My eyes! My eyes!!! Work in Progress Wednesday 10-21-2015: Welcome to the Future! The Future arrives today! Conveniently the Future arrived on Work in Progress Wednesday, the day on which I reveal to you more likely visions of what the future will hold! 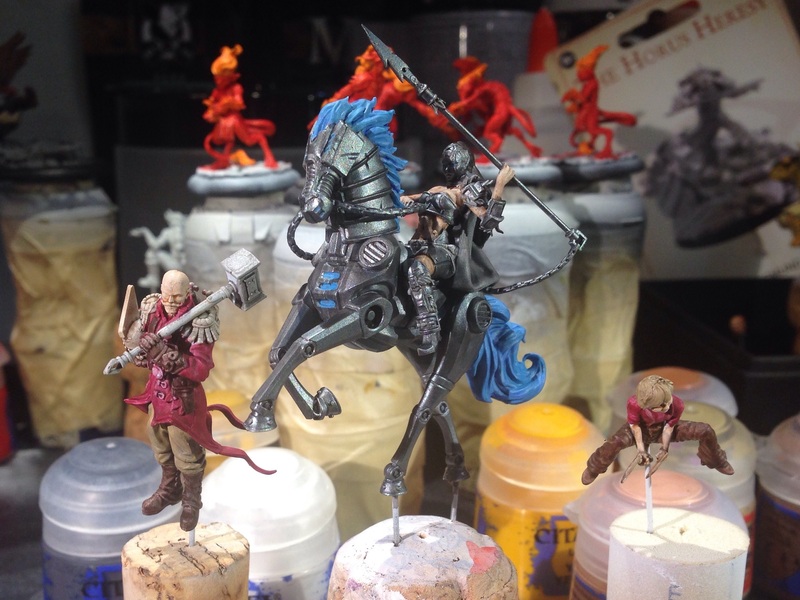 While I can’t promise you hoverboards, I can promise you painted miniatures! 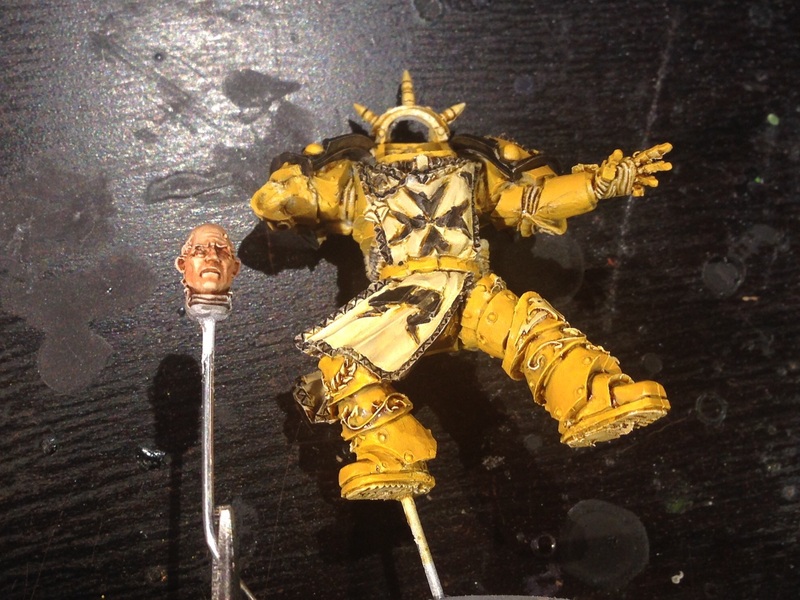 For Malifaux I’ve been working on The Captain, Mechanical Rider, and Malifaux Child and I’ve also been working on this Sigismund of the Imperial Fists from Forge World as a commission piece. 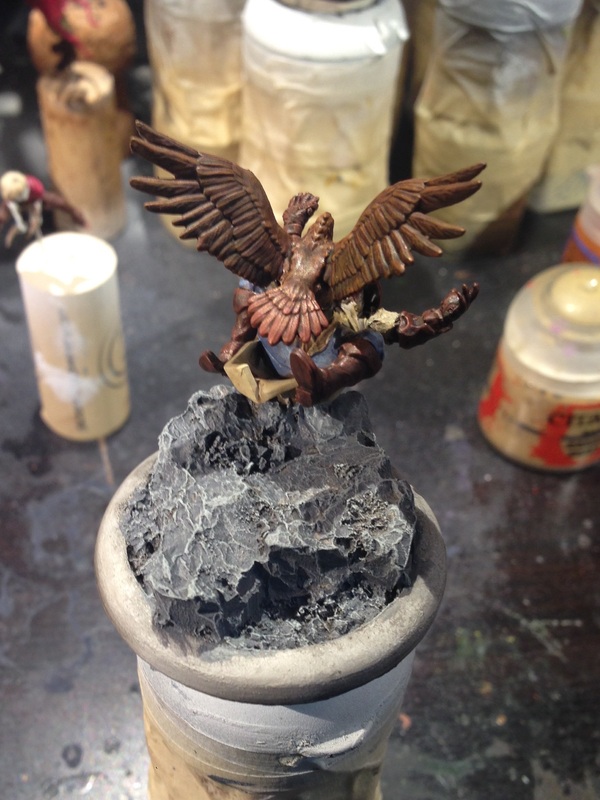 You may notice that the Malifaux Raptor conversion I have been working on it conspicuously missing from these photos–that’s because it’s made the move from work in progress to nearly finished, I just need to complete the basing! Ok, so technically it’s still a work in progress, but it’s so close to being finished that I don’t want to spoil the final reveal. That’s all for this week, hopefully the hover-conversion on my car will be complete by the time I get home from work; the time that will save me on my daily commute will let me get more painting done! After a brief hiatus, Work in Progress Wednesday is back! Last week I wasn’t able to post a Work in Progress Wednesday post due to no progress being made; this was because I took a much needed trip with my wife to celebrate our fifth wedding anniversary. Now that we’re back, I’m getting back into the swing of my daily minimum 15 minutes of painting. 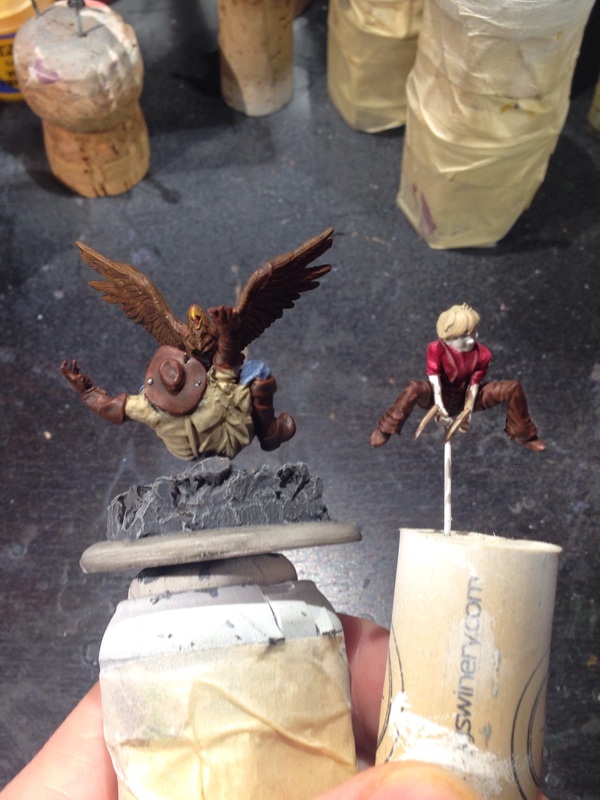 There’s not a lot to show this week, but here are two models that are nearing completion–the Malifaux Child and my custom Malifaux Raptor. With a good deal off of my plate now, I should be able to get a lot more painting done. Check back soon for more awesomeness! Wednesday has come again and that means it is time once again for a glimpse at the future! Behold that which is prophesied to come! Work in Progress Wednesday 9-23-2015: Such Brightness! It’s Work in Progress Wednesday, so it’s time for me to give you a little peek at my painting table (because clearly your life will be that much better for it)!